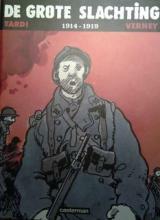 I'll be putting a list here of my war and war-related books. 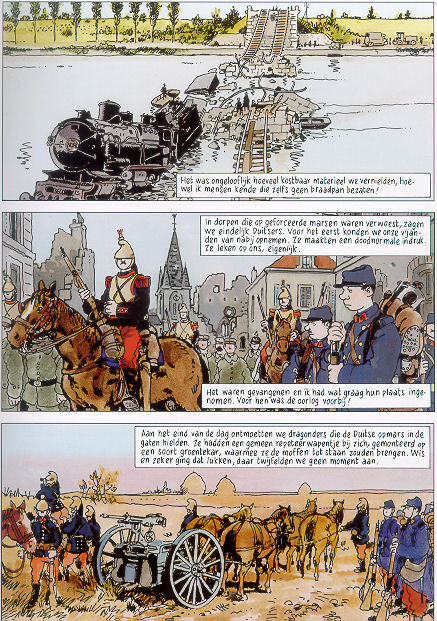 De laatste slag - (The Last Battle) - Cornelius Ryan - 1966 - ISBN ? The Young Lions - Irwin Shaw - 6th print 1956 - ISBN ? NEW: Un jour sans soleil - 19 Aout 1942 - Sous le regard des Dieppois - Sophie Tabesse-Mallèvre - ISBN not yet available - book about Dieppe written by locals with testimonies, bought it in Dieppe, book is from June 2011. Höss - Kommandant in Auschwitz - autobiography - 1960 ISBN ? Ian Kershaw's latest book is called The End – and it's the end in more than one sense. Kershaw, biographer of Hitler and anatomist of the Nazi regime, has documented the last nine months of the Third Reich in the book, from the attempt to kill Hitler made by German officers in July 1944 – a coup that would have brought the war to a swift end – to the final capitulation on 7 May 1945, a week after the Führer's suicide. But after about 40 years, he is saying farewell to Hitler, and his next task will be to write the volume on the 20th century in the Penguin history of Europe. "This is the last thing I do on the Nazis," he says. "Finito. But for me this was an unresolved problem. I'd never focused on the last phase of the war, and I wanted to ask how the regime could continue to function for so long. That was the final challenge." With vast armies pressing from east and west, and the war clearly lost, why did Germany will its own destruction? Kershaw's argument is that, unlike in Italy, where Mussolini was deposed in 1943, there were no rival power structures in Germany that could be used to overturn Hitler's rule. All authority flowed from the Führer. The Reich was founded on Hitler's "charismatic leadership", and long after the charisma had faded and the German people had realised the country was being led to catastrophe the power structure tottered on. "I was very struck by the way that even at the very end, as late as 29 April, some of the generals are saying peace is out of the question as long as the Führer lives." Even on the brink of collapse, some aspects of normal life in Germany continued: Bayern Munich were still playing football matches a week before Hitler's suicide; the Berlin Philharmonic gave a concert just four days before the war ended; and the bureaucrats were being paid until the very end. How did the state machine continue to function? "I was astonished that such an obvious question hadn't been tackled," he says. "In the final phase the top Nazis, Hitler included, were veering between a sense of realism and a sense of illusion. Their remaining hope was that this unnatural coalition" – of the UK, the US and the Soviet Union – "would fall apart and that the west would finally see that the Bolsheviks were the real problem and would cease the war in the west and come in on the side of Germany. People such as Himmler had this illusion until the very end. He believed he might be accepted by the west." Kershaw, 68, was knighted in 2002 for services to history, and his two-volume biography of Hitler, published a decade ago, is likely to remain the standard life for a generation. But he doesn't have an ounce of grandeur. He tells me his wife had to stand over him and virtually force him to sign the letter accepting a knighthood. "I didn't really like the idea very much, and dillied and dallied," he says. "I dislike the neo-feudal title, and have always been a bit embarrassed by it." The modesty reflects his upbringing. He was born in Oldham in 1943 – just after the battle of Stalingrad had ended, turning the war against Hitler. His father was a fitter, but had lost his job in the depression, so turned his hobby of playing the saxophone and clarinet into a career, playing in dance bands. Kershaw's mother worked in a cotton mill, and he says the family were never very well off. His means of escape was passing the 11-plus and going to St Bede's College in Manchester, which instilled in him a love of history. Yet for him this isn't a reason to stand up for the 11-plus. "There were only four kids in my class who were even allowed to sit it, and two of us passed and went to grammar school. It was the breakthrough for me, but is also why I've always opposed selective education at 11. I benefited, but what about the ones left behind?" He was drawn to medieval history at school and went to Liverpool University, which had an excellent medieval history department. He did a DPhil at Merton College, Oxford, editing a manuscript of the accounts of Bolton Priory in the late 15th and early 16th century. He had unearthed the manuscript at Chatsworth, the Duke of Devonshire's country house in Derbyshire, while still an undergraduate, and expresses amazement that he was allowed to borrow it for months on end while working at Oxford. "I used to pull up at Chatsworth in my little Mini, pick the manuscript up and take it down to the Bodleian library. Imagine that nowadays." How did he make the switch to the Nazis? "It wasn't a road to Damascus," he says, "but it was relatively sudden. I started learning German with a view to studying the history of peasant revolts in later medieval Europe, but as my German improved I became very interested in what was happening in Germany – it was just after the 1968 student revolutions, there was a lot happening and the Nazi period wasn't that far away – and how it was coping with the legacy of the war." He spent the summer of 1972 on a Goethe Institute scholarship in Munich, and had a chilling encounter with an ex-Nazi that hardened his growing belief that he should abandon his plan to study medieval peasants and concentrate on his own time. "I met this fellow, and he asked me what I was doing there. He said: 'You English, you were so stupid, you should have been in the war with us. We'd have defeated the Bolsheviks and divided the world up between us.' And he said at one point: 'The Jew is a louse.' I was completely shocked by this, and it made me wonder what went on in this little place at that time. That was the trigger, but I was already on the way." Kershaw was at that point a lecturer in medieval history at Manchester University, but was allowed to switch to a job in the modern history department. He started researching popular opinion in Germany, and was almost immediately invited to join the German historian Martin Broszat's "Bavaria project". Broszat was a proponent of Alltagsgeschichte (everyday history), and was developing a bottom-up history of the Nazi period. Kershaw says joining the project helped him greatly. "Doors were opened, and I was able to get access to material that was pouring out of local government offices. I went into several offices where the stuff hadn't even been delivered into the archives. It was just being brought out of the cellars, where it had languished since 1945. I was the first person to see it sometimes." That research produced the monograph Popular Opinion and Political Dissent in the Third Reich, Bavaria 1933-45, which was published in 1983. In 1979 he had attended a conference of historians of the Nazi period that made him realise how great was the interpretative divide between those who saw Hitler as the prime mover in creating Nazi Germany and those who viewed him as the expression – in some ways almost the prisoner – of social trends. The conference led directly to Kershaw's next book, The Nazi Dictatorship: Problems and Perspectives of Interpretation (1985). In the book, which has been frequently reissued, he set out the main differences between the competing schools, and raised questions he would later attempt to resolve in his biography of Hitler. "There had been an immense outpouring of material," he says, "and interpretations were very polarised. I tried to make sense of why there were these polarised interpretations, and whether they could be reconciled. In so doing I moved away from the social history of the Third Reich, and became more focused on the power structures and then ultimately on Hitler himself. The key divide was between intentionalists and structuralists. The intentionalists started off with the notion that Hitler determined everything, and nothing else really mattered much. The structuralists came from the opposite direction: they said Hitler was a weak dictator, he was a propagandist and a big mouth, but he didn't really matter, and it was the atmosphere of chaos that drove him along. I tried in that historiographical book, and then more so in the biography, to square the circle." He wrote a short book on Hitler in 1991 – more an examination of German power structures than of Hitler himself – which he says was useful in testing out his ideas. Penguin then asked him to write a fully fledged biography and, after initial resistance, he agreed, embarking on what became a vast undertaking – running to almost 2,000 closely printed pages – published in 1994. Why the reluctance? "I came to biography completely from the wrong end, historiographically and philosophically," he says. "When I started working on the Third Reich in the 1970s I was initially not particularly interested in Hitler, but by the 80s I was becoming more intrigued as to how this system worked. That drew me increasingly to the power structures, and I couldn't get away from the fact that Hitler was the determining character." Kershaw combined two ideas that underpin his approach to Nazi history. First, the sociologist Max Weber's notion of charismatic leadership – the cult of personality which grew up around Hitler, the belief that he was imbued with almost superhuman powers and should never be questioned. And second, the phrase most associated with Kershaw: "working towards the Führer", the idea that though Hitler was not dictating every aspect of policy the entire bureaucratic apparatus devoted itself to trying to interpret his wishes. "People second-guessed what he wanted," Kershaw explains. "He didn't need to command everything. People interpret 'getting rid of the Jews' in different ways, and cumulatively that then pushes along the dynamic of the persecution without Hitler having to say 'do this, do that, do the other'." By combining those two ideas, Kershaw was able to achieve the goal he had set himself after the 1979 conference – to square the historiographical circle. "They gave me the key to how to link the structures of the regime and the social forces underpinning those structures with the figure of Hitler himself. I had this tension in the biography, which I tried to resolve through these devices, between the structural approach, which traditionally had ruled out biography, and the biographical approach, which had tended to rule out structures and concentrate on the central figure." He could thus write a biography, a form of which he was suspicious, while remaining true to the tenets of microhistory that had guided his work on Broszat's Bavaria project. The first volume of the biography – Hitler 1889–1936: Hubris – appeared to wide acclaim in 1998, by which time Kershaw was professor of modern history at Sheffield University, a post from which he retired in 2008. He says combining running the department with writing the biography was exhausting, and that during four years in the late 90s he never had a weekend or evening off. Coping with the "avalanche of publicity" on the first volume while writing the second, Nemesis, which appeared in 2000, proved especially difficult. He had perhaps reckoned without the enduring popular fascination with the figure of Hitler, who dominates the history sections of bookshops and is covered in so many documentaries on the History Channel that it is sometimes referred to as the "Hitler channel". Does he find that obsessive coverage – our very own way of working towards the Führer – disturbing? "There's no cultism about it from my point of view," he says. "He's just a crucially important figure in modern history. But there is about Hitler personally and about the Nazis in general a sort of cultism that attracts fascination. The same people are not fascinated by Stalin or Mao, but somehow Hitler does it. I wonder whether it's because this happened in a country that's not so far away, that we know a little bit, that lurched from a democracy to this regime in one fell swoop, and that demonstrates what unlimited power can do." We are meeting in the wake of the appalling slaughter in Norway, and I ask Kershaw whether he sees similarities between the Europe of the 1930s and the continent today, with economic collapse, alienation from the political class and scape-goating of minorities. He warns against generalising from this one tragedy, and says that, while there is no scope for complacency as the far right increasingly makes itself heard, what strikes him is its weakness rather than its strength. "Certainly in western Europe the right has been vocal, but in terms of access to power it hasn't really managed it," he says. "You can say it's influenced conservative politics, but what's been astonishing since the financial collapse of 2008 is how the political establishment has held together, not how it's broken apart." So far, thankfully, another 1933 seems a distant prospect. Biographer and historian Julie Summers and acclaimed newspaper photographer Brian Harris have combined their talents to produce this memorable and visually stunning book thats publication date marks the 90th anniversary of the Commonwealth War Graves Commission, established by Royal Charter in 1917 as the Imperial War Graves Commission with its guiding principle of equal treatment of all war dead, irrespective of rank, race or creed.. The History of this organisation which is responsible for cemeteries and memorials in 23,000 locations in 150 countries around the world began with the work and foresight of one Red Cross volunteer, Fabian Ware in the First World War. Careful record keeping by Ware and his resistance to the selective repatriation of war dead were early features of war graves work.Later Ware called upon a wealth of talents including Sir Edwin Lutyens to design the cemeteries and memorials of the First World War. Rudyard Kipling, his only son missing in the trenches, became the first literary adviser to the I.W.G.C. The remarkable story unfolds with supporting well-selected archival photos as well as stunning contemporary ones. The role of ordinary men and women is not forgotten: Annie Souls, an Oxfordshire housewife who lost five sons in the First World War and Ben Leech who was allowed by the Germans in World War 2 to continue tending the Somme war cemeteries, also finding time to involve himself in Resistance activities. Many aspects of the work of the CWGC are covered: grave concentration, horticulture and gravestone production. There was no standard type of gravestone: as at Gallipoli climate dictated the use of pedestal stones in a style similar to that used after the Second World War in war cemeteries in Thailand and Burma. At Mill Road cemetery on the Somme flat headstones were dictated by old German tunnels below, and in Malta rocky ground and shortage of land necessitated multiple burial plots. Many of Brian Harris' photos remind us of the beautiful, calm settings of many war cemetries in places like the Somme & Monte Cassino - once ravaged, desolate battlefields There are particularly outstanding photos of Chungkai in Thailand and Ramparts Cemetery, Ypres. Some of the best photos are taken early in the morning: Kranji, Singapore, the gardeners already at work, and Alexandria War Cemetery, Egypt. Some cemeteries are in more busy urban settings or have become so: Sai Wan, Hong Kong in particular. This book is a fitting tribute to the work of the CWGC. and a reminder to us of the sacrifice of the 1,700,000 men and women of the Commonwealth Forces who died in the two World Wars. 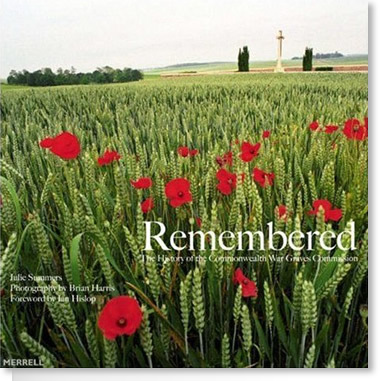 All Royalties from 'Remembered' go to the CWGC to support its work. Military historians and family history researchers along with the many of the thousands who regularly visit the battlefields and Commonwealth War cemeteries around the globe each year, will be delighted with this superb large format colourful volume, which in a mixture of words and beautiful photographs chronicles the history of the multi-national organization that is tasked with caring for the final resting places of over 1.7 million Commonwealth war dead of both the Great and Second World Wars. The Commonwealth War Graves Commission who's work is funded by the Australian, British, Canadian, Indian, New Zealand and South African Governments, skillfully and caringly maintains cemeteries in no less than 23,000 cemeteries in locations spanning 170 countries worldwide, was founded 90 years ago with the aim of recording the exact burial places of servicemen killed in battle and providing them with a grave, where without distinction in rank, race or creed, but with uniformity would be remembered in perpetuity. Writing this book would not have been an easy task, however the author has succeeded, in not only covering the history of the Commission, but has also cleverly "woven in" many fascinating stories behind the headstones adding a human and sensitive perspective to the history too. This factor alone makes fascinating reading however, when the text is coupled together with Brian Harris's brilliant and very often artistic photographs taken in Europe, Canada, the Middle and Far East, the volume becomes more valuable to both the researcher and casual reader. As all royalties from the sale of this excellent volume are being donated towards the work of the Commonwealth War Graves Commission, I would therefore urge anyone with an interest is this fascinating subject to purchase this volume to assist them in keeping up their excellent work.